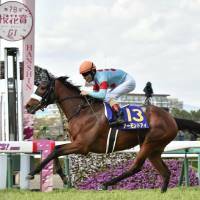 TAKARAZUKA, HYOGO PREFECTURE - Second-favorite Almond Eye, ridden by jockey Christophe Lemaire, made a late dash Sunday to win the Oka-sho and earn her first Grade 1 victory. Starting second-to-last, Almond Eye conserved her energy until after the final turn, when she sprinted past the pack on the outside to beat race favorite Lucky Lilac by one and three-quarters of a length in 1 minute, 33.1 seconds. Third-favorite Lily Noble was a further half-length behind in third-place in the 1,600-meter turf race for 3-year-old fillies at Hanshin Racecourse. “I was coming from the back, so I kept my focus on only the horses in front of me,” the France-born Lemaire said. “She had really good balance, so at the end I felt she could put together an explosive finish. “She was one of the favorites, so I had full confidence in her, but the distance was another thing. I was concerned about her pace, but what really mattered was the last 200 meters,” he said. 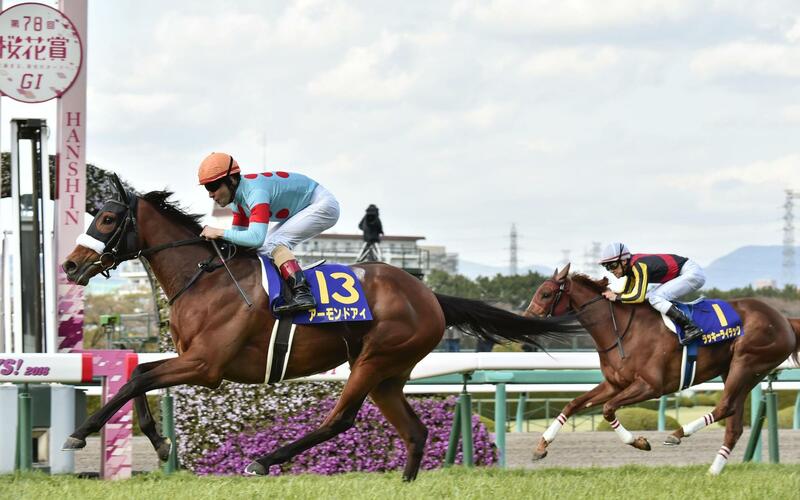 Almond Eye won more than twice her career earnings after picking up ¥105 million yen ($980,000) in prize money and improved to three wins with one second-place finish in four starts.